Most users who utilize Twitter to social network do not do it from Twitter’s actual web site. They use apps, mobile phones and other ways to tweet the latest goings-on in their world. 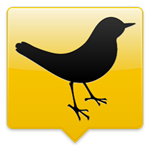 TweetDeck is a desktop application created by Twitter that allows you to use Twitter and Facebook in one application from the comfort of your computer. This means you do not have to actually log into your Twitter account and post from your web browser. You can respond to direct messages, tweets and more from TweetDeck. Our guide will show you how to get started with TweetDeck as well as how to use Facebook with it. TweetDeck is just one way to get more out of Twitter. 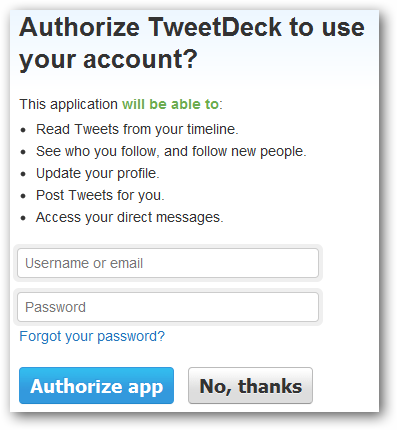 In order to get started with TweetDeck, you want to download and install it. It does require you to utilize Adobe flash elements. When it is finished installing, TweetDeck will start itself. 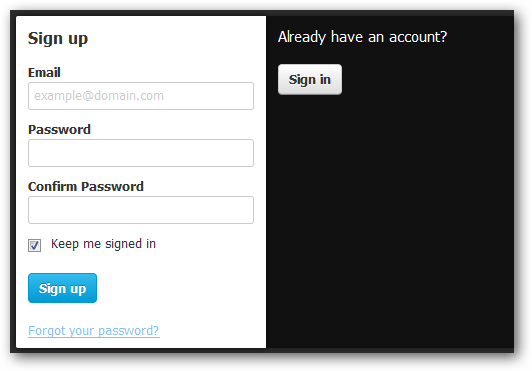 You will be prompted to either sign in to an existing TweetDeck account or create your own. 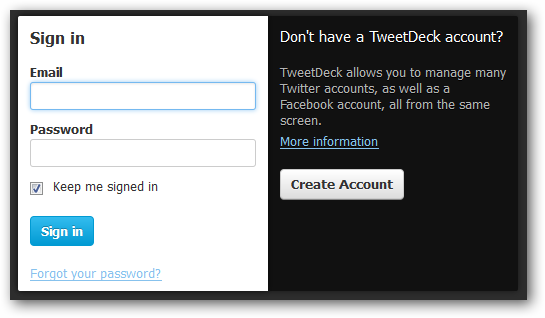 Immediately, TweetDeck will open its settings for you to begin adding Twitter accounts or a single Facebook account. You can add several Twitter accounts to TweetDeck at any time by following the same steps. You can only add one Facebook account to a TweetDeck account at any time. If you wish to switch accounts, you can eliminate the one from TweetDeck and add the new one. 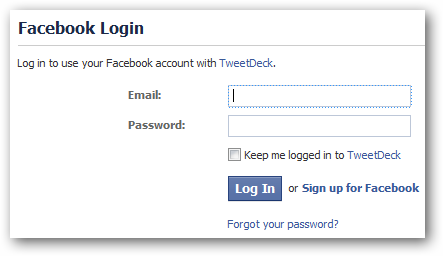 TweetDeck will request permission from Facebook to access your account. Click “Allow” to continue. You will see every account you have added in this area. You can remove them at any time by clicking the circle next to the account, then clicking Remove. A confirmation will appear asking you to confirm the deletion. Select “Confirm” to do so. This will allow you to choose whether to stream Twitter or not. 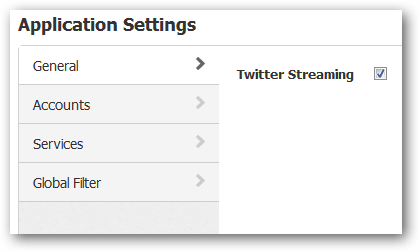 Check this box for live updates to your Twitter Streams in TweetDeck. This allows you to set which services you use for picture uploading as well as link shortening. This will allow you to set up filters for the way items appear in TweetDeck. For most accounts, leave this setting alone. 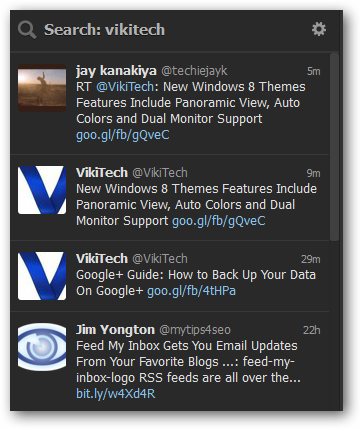 Once you are finished configuring the basic settings for TweetDeck, you will be redirected to the main screen. At the top center, you will see a way to navigate between columns. Each column will be related to the service, account and action for the account. You can either click the boxes or the arrows to navigate to and from columns. 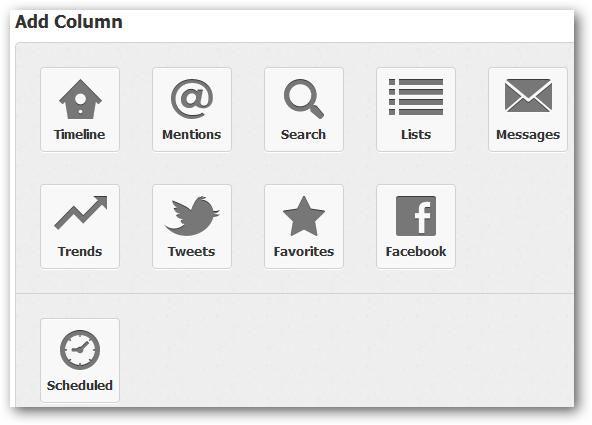 On the top left, you will see the TweetDeck logo along with the ability to add a custom column or update your status. 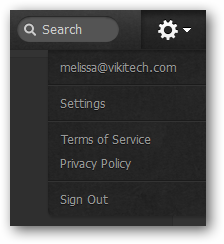 On the top right, you will see a search box along with the ability to enter the settings once more. This will automatically add a Scheduled column to TweetDeck that you can navigate to. The same will happen for any other category you choose. 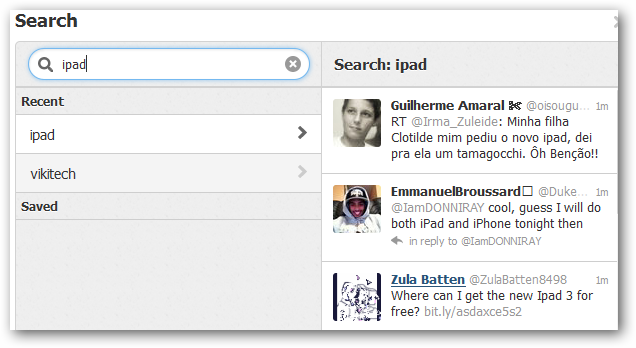 Now, type in a term in the search box and click Enter. TweetDeck will begin to pull up tweets and users who identify with those terms. You can then create a column for it to see what is going on with the term at all times it is active. Click “Add Column” to do just that. You will now see the column and be able to navigate to it on demand. This will allow you to update your status. Simply click on the account you want to update and make sure the icon turns blue. This lets you know the update will be shared to that account. You can select multiple accounts as well. Status updates, including those sent to Facebook, must be below the 140 character mark to update successfully. You will also be able to add the Search to your columns at any time this way, too. Now, click the “Gear icon” in the upper right hand corner. These are the basics to getting started with TweetDeck and using to manage Twitter accounts and your Facebook account. What alternatives are there to using TweetDeck? There are several alternatives to using TweetDeck but none that offer the type of support the program does. Since it is now developed by Twitter themselves, they can offer insight and access to areas of their service other programs just cannot come close to giving you. While Twitter can be used through its web site, along with on mobile phones and other wireless devices, TweetDeck offers a unique way to use your desktop to update, revel and share on Twitter.